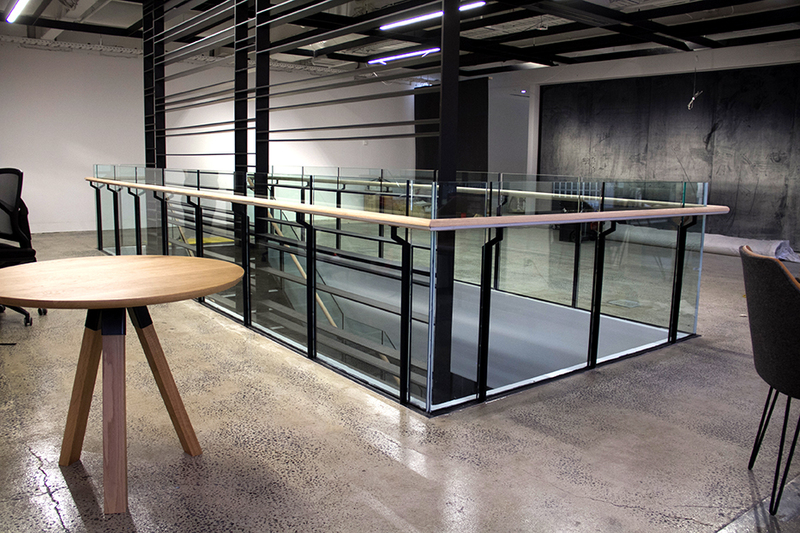 Scope: Design, manufacture, install and custom laser cut steel and clear glass balustrade with timber handrail to level 9 and 10 staircase and gallery. Scope: Design, manufacture and install a custom steel fencing system with pedestrian gates and automated double swing gates. This also included the design and manufacture of a custom light box and letterbox. 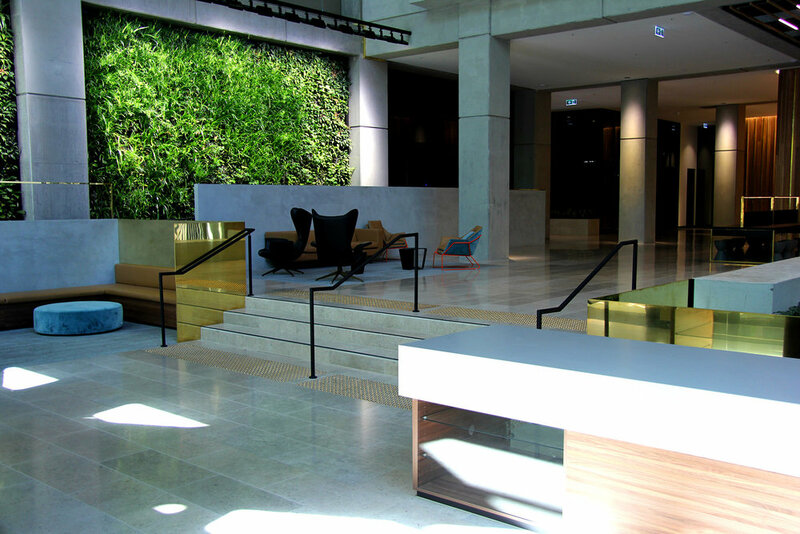 Images courtesy of Seidler Group. 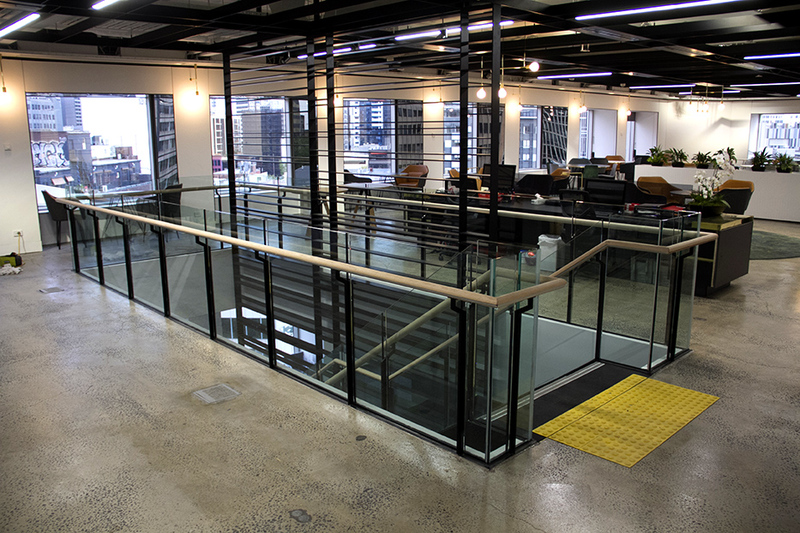 Scope: Manufacture and install custom glass balustrade to internal balcony, gallery and stairs, as well as manufacture stainless steel handrails for entrance stairs, barber shop stairs and DJ Platform Stairs. Manufacture and install 88m2 of mirrors, automated sliding frameless glass door with side panel and 2 x sets of frameless glass, french-hinged entrance doors. Images courtesy of Culture Kings. 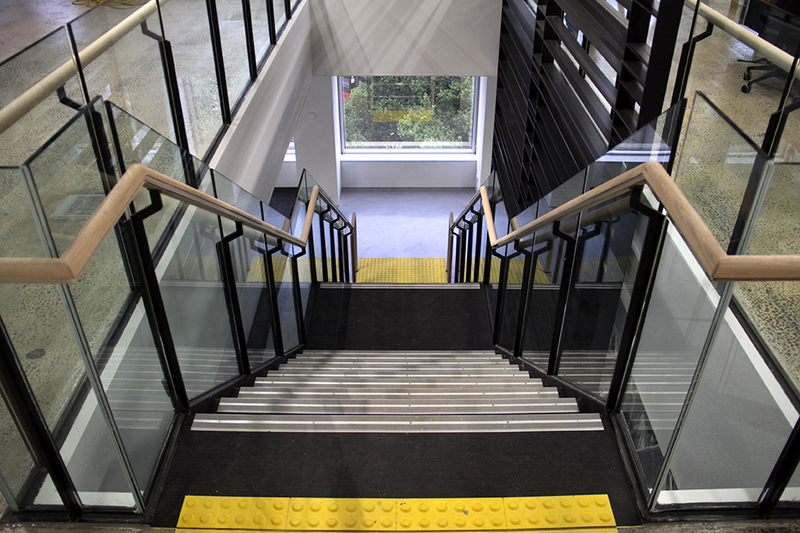 Scope: Manufacture and install a changing landscape of balustrades for a sensory experience across an elevated platform and stairs. The balustrade design configuration consisted of perforated aluminium, semi-frameless glass, tubular aluminium, horizontal aluminium slats and returning to perforated aluminium. All powder coated 'Silver Grey'. Manufacture and install tubular pool fencing for a puppy play-pen, 50mm round galvanised handrail for the mock train platform (powdercoated safety yellow) and all new galvanised gates for the dog kennels. Images courtesy of Plan Group.